Browsing the blog archives for November, 2009. 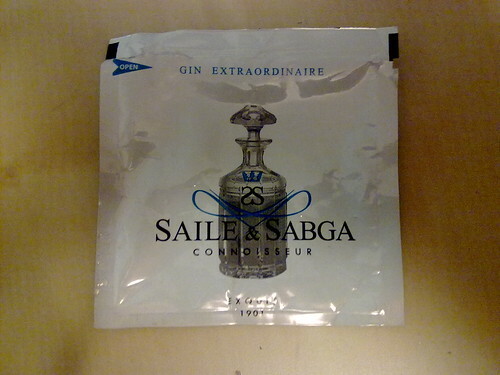 Yep, that’s a sachet of Gin… yummy… not! Belated, but as promised here is my current tech setup. Admittedly, it does not include the two laptops I use, the Asus SeaShell or the Dell Latitude D830 (desk wasn’t big enough to hold the Dell). 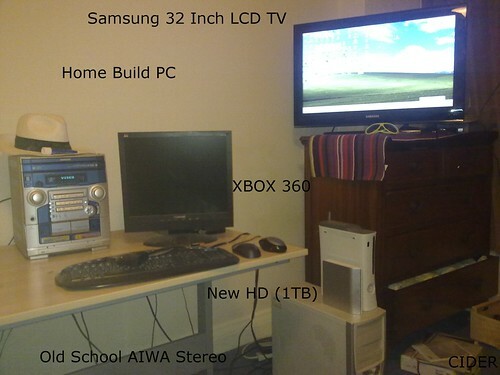 There are 3 things in there which aren’t tech… can you spot them? 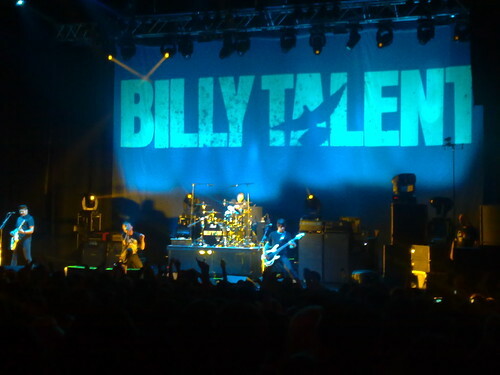 Last night I trekked all the way to London town to see Billy Talent at the Brixton Academy. They were excellent! First up was a band from Canada called Cancer Bats, I have heard lots of their stuff in the past on CD and Spotify etc. But live, not good, partly because the sound was terrible, there was just something about the performance which didn’t quite seem right. Some very fake comments between songs – “Lets make this the best night of our lives”, and others. This led to concerns before Billy T started along the lines of the bad sound quality, however they were totally unfounded. Billy T sounded great, the mix was just right and they played exceptionally tight. Always helps when you know the 3 albums they have, no songs sneak past. The crowd involvement during Devil on my shoulder worked! Its such a brilliant line, and the melody is just top notch! You can see more of my pictures here. Were you there?